Every time I wanted to wear one of my necklaces I found they were tangled up. 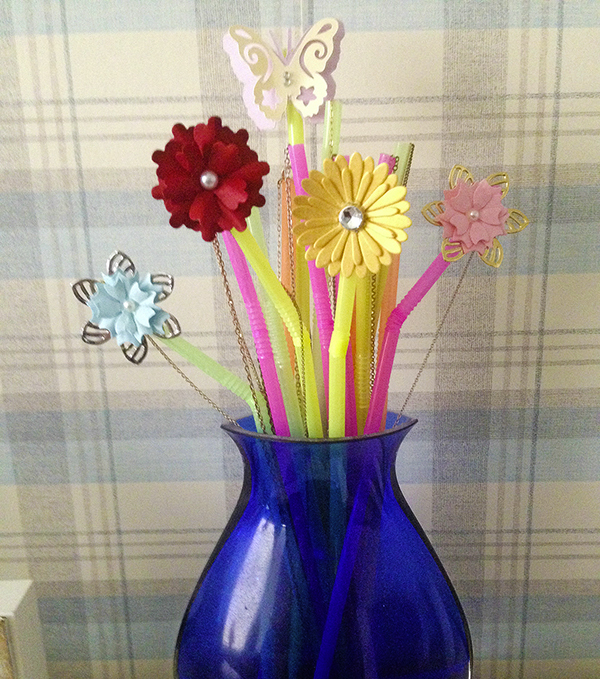 I threaded them through plastic straws, then popped them in a small vase, before sticking paper flowers to some of the straws. Now, I have untangled chains and they look lovely on my dressing table.